The all-new iMac Pro is now available to order from Apple's online store and through the Apple Store app on iPhone and iPad. 8-core and 10-core models start at $4,999 and $5,799 respectively and currently ship by late December in the United States, while 14-core and 18-core models starting at $6,599 and $7,399 can also be ordered today, but aren't estimated to ship for 6-8 weeks, which pushes deliveries into February. From there, each iMac Pro configuration has optional upgrades available for storage, memory, and graphics, with prices topping out at $13,199 for a maxed-out, high-end 18-core model with 4TB of SSD storage, 128GB of ECC RAM, and an AMD Radeon Pro Vega 64 graphics processor with 16GB of HBM2 memory. Apple said the iMac Pro is the fastest and most powerful Mac ever, at least until the modular Mac Pro is ready to be released. YouTube reviewers Marques Brownlee and Jonathan Morrison recently shared hands-on videos of the iMac Pro, and put its CPU performance to the test with benchmarks on Geekbench, which simulates real-world workload scenarios. 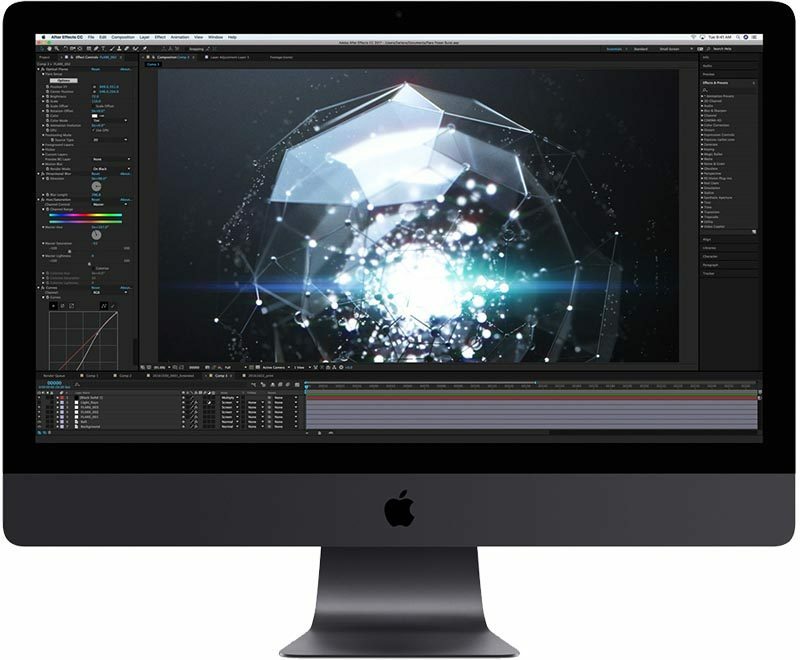 In both videos, the mid-range iMac Pro with a 10-core 3.0GHz Intel Xeon processor recorded a multi-core score of just over 37,400, which is up to 45 percent faster than the high-end 2013 Mac Pro's average multi-core score of 25,747. The 10-core model is also up to 93 percent faster than a high-end 2017 27-inch 5K iMac. Brownlee found the iMac Pro to be a super capable yet quiet machine with a beautiful display and a stealthy space gray enclosure. He said the iMac Pro's biggest weakness is its lack of upgradeability, but he argued its expensive $4,999 starting price is actually fair for the hardware included, and he noted that a PC with equivalent tech specs costs around $5,100, so he believes the iMac Pro is priced competitively compared to what's on the market. In addition to up to an 18-core processor, that hardware includes up to 4TB of SSD storage, up to 128GB of ECC RAM, and up to an AMD Radeon Pro Vega 64 graphics processor with 16GB of HBM2 memory. The high-end performance is made possible by an all-new thermal design that delivers up to 80 percent more cooling capacity than a traditional iMac. With four Thunderbolt 3 ports, the iMac Pro can drive two external 5K displays or four 4K displays at 60Hz simultaneously. It also has a 10 Gigabit Ethernet port, four USB-A 3.0 ports, an SD card slot, and a 3.5mm headphone jack. A black Lightning to USB-A cable and space gray Magic Keyboard and Magic Mouse 2 are included in the box. A space gray Magic Trackpad 2 is optional. 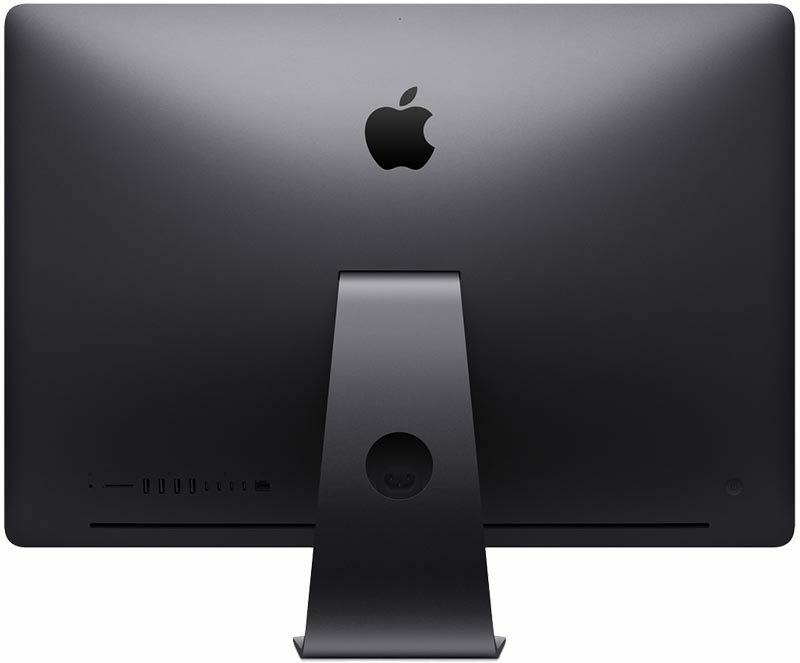 iMac Pro is now available to order in the United States, Canada, Australia, China, Hong Kong, Japan, most European countries, and select other regions. In some other countries, like Singapore, Apple says to check back later for information. 13k for a “pro” machine that can never be upgraded. Ok, Apple. I can’t imagine the component parts of a Windows machine ever coming to a total of $13k. Mac is a convenience platform, not a power platform. Whoever spends that much on a Mac is crazy, and whoever thought those prices would sell is even crazier. That’s why the trashcan Mac Pro didn’t sell, and that’s why I believe this one won’t either. You should try pricing a Windows-based machine with those same specs yourself. And total cost of ownership can't just be determined by price. There are reasons why people choose Mac over Windows and vice versa. People are willing to pay more in some cases to get the value (real or not) they perceive. I seem to be more and more confused by some of the comments lately on macrumors. First, this iMac is geared towards the pro market. The other existing iMac is still there with options valuable to most everyday users. Nothing has changed in that regard and I’m glad Apple is concerned about the pro users and doing something. Some people seem to think Apple should cater to the pro market but not charge a premium for premium parts. Which brings me to my next issue or public awareness. For those that want to price out a comparable windows computer, go ahead. It’s not going to be much less if any. Xeon proxessors, the memory, graphics card and screen. I’d say you’d be over $4500 for something close. So my advice, if you don’t know why it costs this much in the first place or how it differentiates from the regular iMac, it might be best to not complain about the price and Apple charging too much. Edit: also, I’ve seen more and more iMacs being used in the professional industry lately due to their size and mobility. Placing them on carts for studio photography or in a video studio on a wall to control colors and cameras. People complaining about the price need to realise that the iMac Pro isn't aimed at the average consumer, we are talking professional editors, content creators and so on. Movie studios will buy these, it is not very often you see a Windows machine in the editing labs (at least not here in the UK). You highly overestimate the number of professionals who want to open their computer and upgrade the internals in any way. Even the baseline machine is a beast, so people will use these for 6-7 years and then buy a new one. There's a HUGE segment of consumers who do professional work for a living and don't care about the fact that it's sealed up. The screen quality and footprint make up for that. And if not, then great. A new Mac Pro is coming next year. Okay time to find 13k underneath the couch. Right. People are comparing their "mad crazy neon-lighted, water-cooled gaming rig" they used to play COD to this, and can't reconcile the price difference. This is a totally different market segment [mostly]. $13K? Some people will bill that in under a month - heck, a machine with 8-core, 64GB, Vega 64 GPU is ~$6400, including a 5K display, for a machine with a single source service channel, that could make you way more productive - that's a week or two of revenue in some sectors. Meanwhile in offices distant from Cupertino, Barclaycard executives greet this reveal with knowing smiles. I wonder how many trust fund kids will order the $14,000 model to write essays for their liberal arts degree.